Wonderful spotting .Congrats on having the "Fact Of The Day" on the PN in the first spotting itself. Congratulations on having this spotting highlighted as "Fact of the day" on the PN Facebook Worldwide page!!! Why are they called mormon? Any connection to the American religion? Very nice first spotting on Noah and the video is a very nice addition - a fast flyer! Welcome to Project Noah! Welcome to Project Noah Kuya Noi. Its a female common mormon and the hostplant is a citrus. iGo is right Noi, it's a Common Mormon. very similiar with my spotting even the orange leaf too. 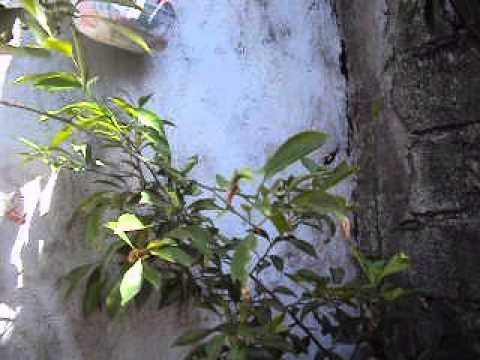 But in my case, a leaf covered by volcanic dust eruption at 2010.
i spotted this butterfly in the back of our house,happily flying around citrus plant.